Shiga Lakestars (B League) signed 31-year old American swingman Henry Walker (198-100kg-87, college: Kansas State). He played last summer at Blackwater Elite in Filipino PBA league. Walker managed to play in four leagues in three countries last year (!!!). 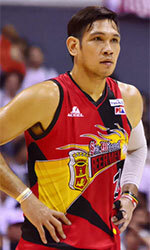 In 11 PBA games he had very impressive stats: 24.3ppg, 13.0rpg, 5.3apg, 2.3spg and 1.4bpg. Good season as he was named League Player of the Week. Part of last season he spent at Defensor (LUB) in league where in 8 games he recorded also remarkable stats: 17.6ppg, 8.0rpg, 3.1apg and 1.8spg (leader !!!). Walker also spent pre-season at Galatasaray (BSL) in league. In two games he averaged 4.5ppg and 1.5rpg. He also played 5 games in Eurocup where he got 5.8ppg and 2.4rpg. 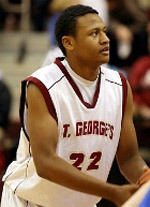 In 2008 Walker was drafted by Washington Wizards (NBA) in second round (47th overall). The former Kansas State standoutis in his eleventh (!!!) season in pro basketball. The list of the past achievements is quite long as among others he won Croatian A1 League championship title in 2016. Walker was also voted Asia-Basket.com All-PBA Governor's Cup 2nd Team back in 2016. He is quite experienced player. Walker has played in six different countries on four different continents (Europe, Asia, Latin America and of course North America). He has played previously professionally in Venezuela (Trotamundos), NBA (Miami Heat and New York Knicks), NBA G League (Sioux Falls Skyforce and Maine Red Claws), Croatia (Cedevita) and Dominican Republic (Leones de Santo Domingo).